The future of Cecil the Lion’s cubs remains uncertain after he was killed. “Dead people receive more flowers than the living ones because regret is stronger than gratitude”- Anne Frank. No other quote could be more apt than this one when looking at how the world has responded to the death of Cecil the Lion. People are baying for blood after hearing that Cecil, a popular attraction among international visitors to Hwange National Park in Zimbabwe, was lured outside the reserve’s boundaries by bait and killed. 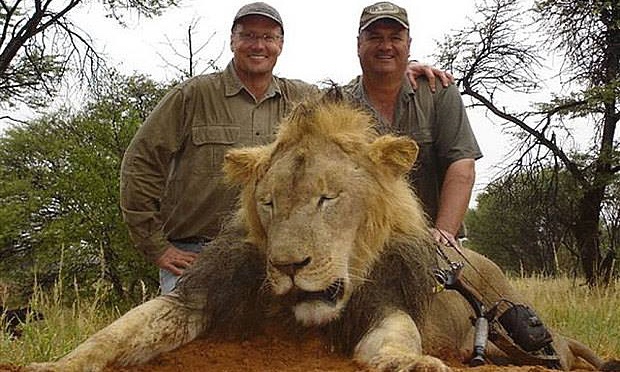 The culprit was identified as Walter James Palmer, an experienced trophy hunter from Minnesota, who paid $50 000 for the hunt. However, all of the outcry may be too little too late, as it seems the world will be unable to stop the most tragic outcome of Cecil’s death: the demise of his cubs. According to the Wildlife Conservation Research Unit’s (WildCRU) website, Cecil’s brother is currently watching over the cubs and their pride. WildCRU is part of the University of Oxford, within the Department of Zoology, and was tracking Cecil for research purposes. The website stated that not having Cecil around has weakened the coalition between the males, which means that a rival male could come in and take over. When this happens the male will often kill his predecessor’s cubs in order to instil his own bloodline into the pride. Many people have tried to find out what they can do to save Cecil’s cubs. According Fiona Miles from Four Paws, removing the cubs from the wild is not an option. “The more human interference there is in this situation, the more problems it will cause,” she says. Renowned South African Lion Whisperer Kevin Richardson, argees. He posted a statement on his Facebook page addressing questions about Cecil’s offspring. In it he reminded people about the importance of not taking animals out of their natural habitats. WildCRU (WildCru.org) is currently monitoring the situation with Cecil’s cubs. The organisation’s aim is to study lions in order to find out about the threats that face them and to come up with ways to protect them. It also has an anti-poaching team as well as various awareness drives. We’d like our readers to spread the word about WildCRU’s work and to also raise awareness so that no other lion cubs need to face the uncertain future that Cecil’s are. To keep the conversation going and to encourage people to donate to WildCRU, tweet to @TheCitizen_News with the hashtag #SaveTheCubs.